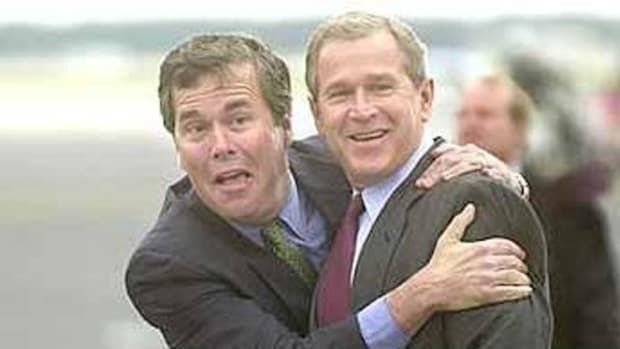 Jeb Bush, like his brother, isn't particularly bright and a number of his statements highlight this lack of mental rigor, proving that he should not be allowed anywhere near the White House. 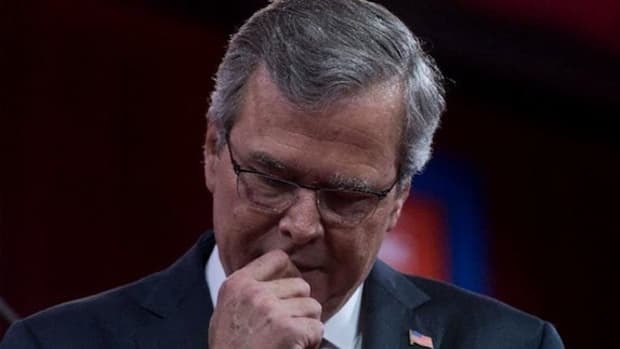 Jeb Bush is the frontrunner for the GOP primaries, and has in recent times positioned himself as a sensible moderate. 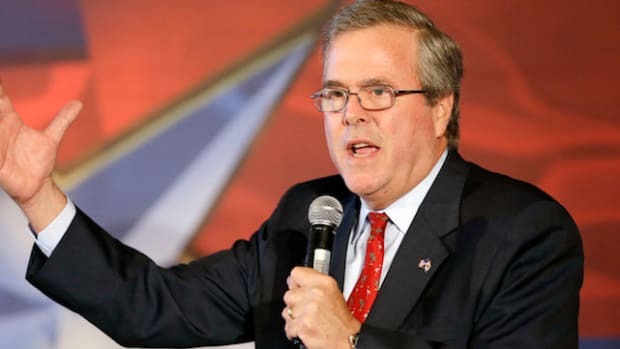 The truth is that Jeb Bush is neither sensible, or a moderate. While it may be &apos;centrist&apos; in America to say things like: &apos;I don’t think the science is clear what percentage is man-made and what percentage is natural," when it comes to climate change, it isn&apos;t in the rest of the civilized world where everyone agrees with the overwhelming scientific consensus. 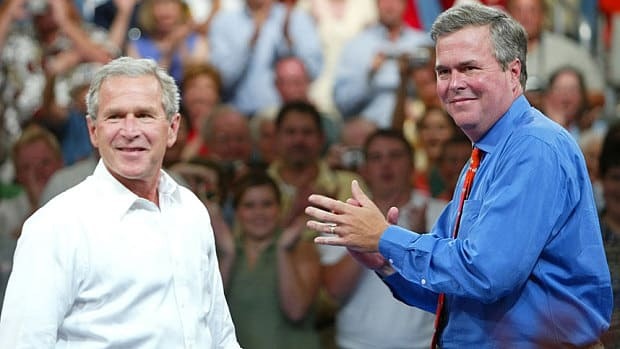 Jeb Bush, like his brother, isn&apos;t particularly bright and a number of his statements highlight this lack of mental rigor, proving that he should not be allowed anywhere near the White House. 1. "I&apos;m a skeptic. I&apos;m not a scientist. 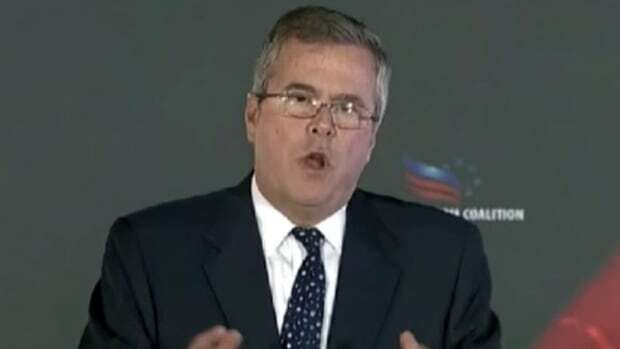 I think the science has been politicized"
- Jeb Bush politicizing climate change, July 2009. 2. "Immigrants are more fertile, and they love families and they have more intact families, and they bring a younger population." 4. 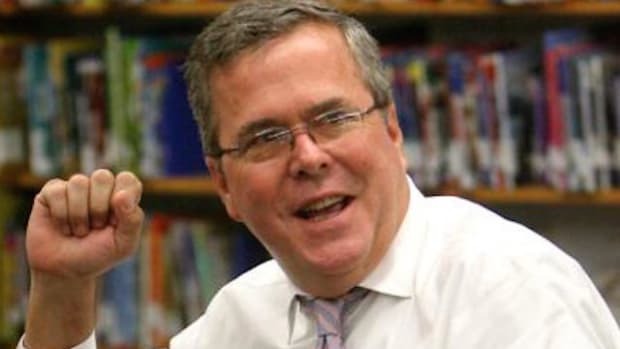 "I would abolish the Department of Education as it now exists, reducing the 2,000 person bureaucracy to about 50"
5. "I want to accelerate, not slow down, the enforcement of the death penalty in Florida." 6. "I would have [authorized the invasion], and so would have Hillary Clinton, just to remind everybody. And so would almost everybody that was confronted with the intelligence they got." 7. "If we’re all supposed to ask hypothetical questions: ‘Knowing what we know now, what would you have done?’—I would not have engaged. I would not have gone into Iraq." - Jeb Bush in Tempe, Arizona on 5/14/15.